This was our first try at recording an album back in the days when our art teacher would yell at us for sneaking off to the music room, which was a long time ago. Like on our second album, every song was recorded in one take. But back then we didn't even have multiple tracks to record with, so every song is all of us playing at the same time, learning the songs as we played them. 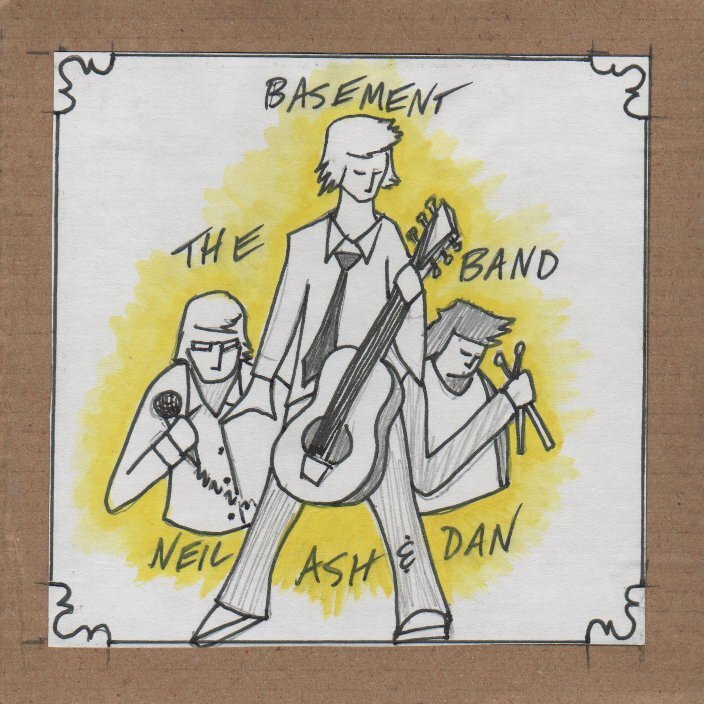 Apparently back then we were called the Basement Band. I didn't remember until I found this. We recorded with a weird hand held mic that we had to hang off of things. It made everything sound like it was inside a cardboard box, and the volume is so low you have to crank your volume almost to max, but that definitely didn't stop us. The track listing for these songs is lost, so they're just sorted in alphabetical order. I think my favourites are Summertime in My Tent, Yah I Wonder, and The Super Professionals.